It sometimes seems as though our lives are 90-percent list these days, thanks in no small part to the facility of smartphones for making said lists. Though I appreciate the handiness of Apple’s own Reminders app, when I want real power I turn to Snowman’s $3 Checkmark 2 for iPhone. There are a preponderance of list-making apps out there, but what sets Checkmark apart is not only its powerful set of tools—especially when it comes to dealing with location-based reminders—but also its slick, simple interface. The app’s been recently redesigned for iOS 7, and also reengineered with a bunch of new features. Checkmark's Location Groups lets you pick several places on a map and have a reminder fire whenever you come in range of any of them. 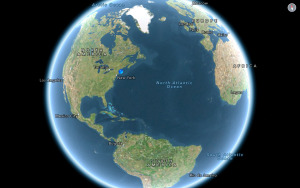 Perhaps the coolest part of Checkmark 2 is the ability to create location groups. Say you need to remember to pick up some milk when you go by the grocery store—easy enough for you to set a location-based reminder that pings you. 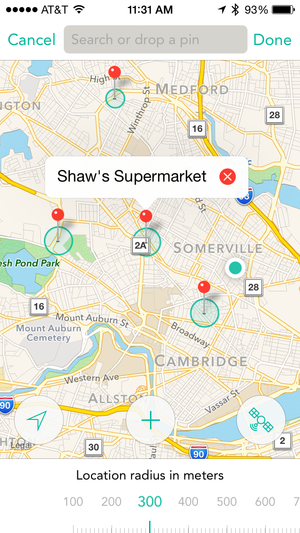 But let’s say there are a handful of grocery stores you frequent—Checkmark can alert you to pick up milk when you go by any of them. Granted, it can’t automatically detect those locations; you have to enter them yourself, which can be a little bit time-consuming (especially since Checkmark uses Apple’s Maps database, which, even after a year and a half, still doesn’t seem to be quite up to date with every location in my vicinity). Entering every corner store and market in the app would probably be over the top, but it’s not too much trouble to add a few of the more common locations you visit. I also appreciate Checkmark’s abilities to trigger location-based reminders combined with time-based reminders. For example, I can tell it to remind me of something 15 minutes after I get home, so that I don’t get reminded right when I walk in the door and, thus, forget by the time I’ve gotten my coat off. If location-based reminders just aren’t your bag, Checkmark still has you covered by making it really easy to quickly create time-based tasks—including recurring ones. And topping Apple’s own Reminders app, you can not only set recurring reminders for normal intervals like daily, weekly, and monthly but also custom recurring events that only fire on the days you want them to. My favorite feature for time-based reminders, however, is the ability to quickly reschedule them. Swipe right-to-left on any time-based item and a Reschedule button appears; tap it for a quick-pick menu of common snooze times, like 10 minutes, an hour, or a day. As someone who chronically puts off tasks, this is a great—if probably unhealthy—option for me. You can now create lists in Checkmark, complete with sub-headers. 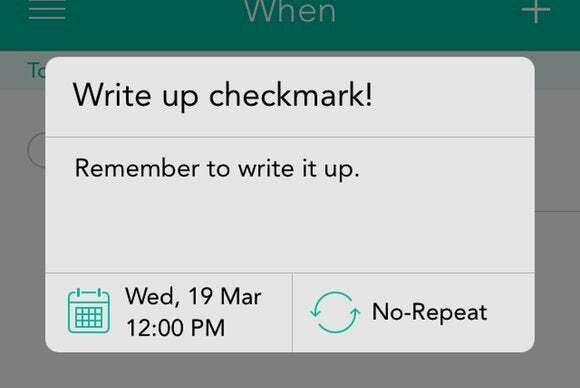 Checkmark 2 also adds a new type of reminders: lists. 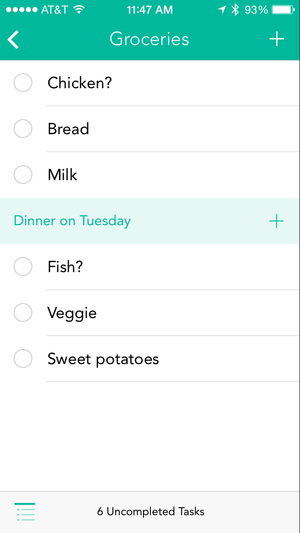 You can create multiple lists, each with their own sub-headers—so, for example, if one portion of your shopping list is planning for a specific meal, you can group those items together. Though you can simply rearrange items within lists by dragging them into a different order, it’d be nice if those sub-sections were easily collapsable. And I’d really like an option to assign lists to a specific location or time. Now, keep in mind that Checkmark is specifically for the iPhone; it’ll run on your iPad, but only in compatibility mode. And though there is an iCloud sync option (which is more for backup than anything else), the lack of a Mac or Web-based client means that you’re really only going to be editing your lists on your iPhone. While those features would be nice, it’s also clear that they’d ramp up the complexity of the app considerably. So if you’re looking for a little more power when creating your reminders, and especially if you’re dissatisfied with the state of Apple’s own location-based reminders, Checkmark 2 is definitely worth a look.